During the conference in Hamburg the Royal College of Art and Erasmus University delivered three workshops which tested some of the tools currently being developed for the upcoming social innovation toolkit and helped to grow the collective understanding of the barriers faced in efforts to forge the public co-ownership of urban spaces. 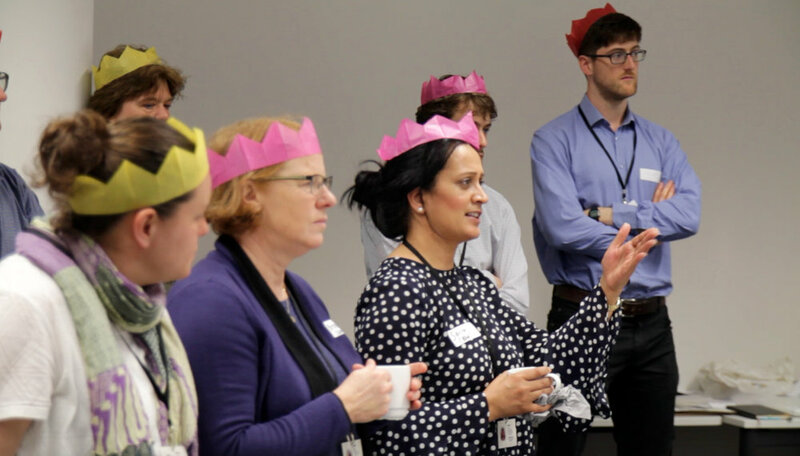 The first day of workshops were developed to demonstrate through a role play exercise that consultation could be made more valuable using certain tools but that it is still inherently limited in its ability to change relationships and create co-ownership. In the afternoon the participants mapped their infrastructure planning process so they could identify existing moments of public engagement, new moments when they could be involved and also to highlight some of the problems which an increase of engagement might cause. Tools tested: Persona, Hats, Mock Consultation, Blueprint. On the second day there was a short exercise in analysing the stakeholders that surround one of the Blue-Green infrastructure (BGI) projects in Hamburg. The tool is designed to help planners identify who is influenced by a project, what their perspective on the project might be and how they ought to be prioritised by the local authority. On day three the participants were once again asked to consider their own projects. Two tools were tested that were designed to help create and synthesise the messages that urban planners need to convey in the branding and communications of their project in order for them to be successful. Tools tested: Creating Messages, Headline. The RCA and Erasmus University collected feedback about these tools during the conference and continue to use this information to adapt them and create new tools for the toolkit. Thanks for your thought, we'll get back to you! During the first part of Day 1 there was a mock consultation about a fictitious infrastructure project held to explore the value of consultation in the urban planning process. The exercise demonstrated two distinct tools ('Personas' and 'Hats') that could be used in isolation in their design and consultation practice while also being an exercise that cities could run in their entirety with their own internal stakeholders (by running a mock consultation themselves). Personas are artificial characters inspired by members of the public who were met during the RCA studio projects. They combine a broad level of information about a person with a nuanced description of them, from which the participants in the mock consultation answer questions about the persona's life as if they were them. Participants then embody that persona's character throughout the rest of the mock consultation. This enables a strong sense of empathy and gives participants a new perspective. Factual - What facts are missing and how do the existing facts inform a decision? Positive - What are all the positive aspects ? Critical - What are all the negative aspects? Sympathising - What would people who aren't in the consultation say? Creative - What creative opportunities are there? Importantly people must be clearly told that they will be given the opportunity to make it clear how they really feel about the project after this part of the exercise. Participants then take off their hats (and fixed perspectives) and vote for the arguments that are most meaningful to them. The tool ensures all arguments are heard and understood and prevents people dwelling on specific, often negative aspects of a proposition - ultimately making the consultation more productive. The use of a well-defined structure within the consultation made the process more productive. 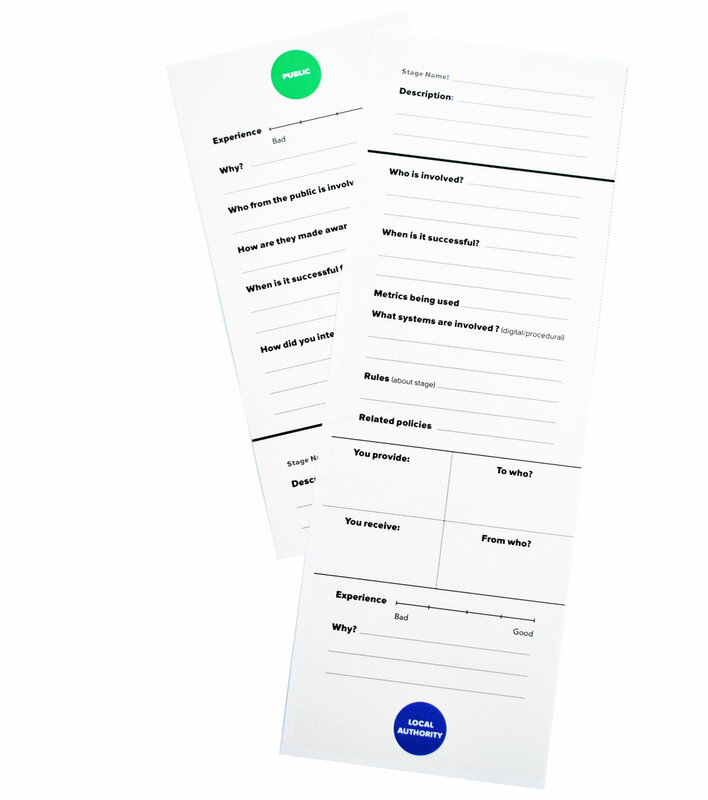 The Personas tool helped give participants the time to consider in more depth what other members of the public would be willing or unwilling to bring to a project . The structure of the voting within the consultation exercise needs to be adapted to allow more freedom for the participants to express themselves and there also needs to be more consideration given to how you manage issues that have less votes - they cannot simply be ignored. 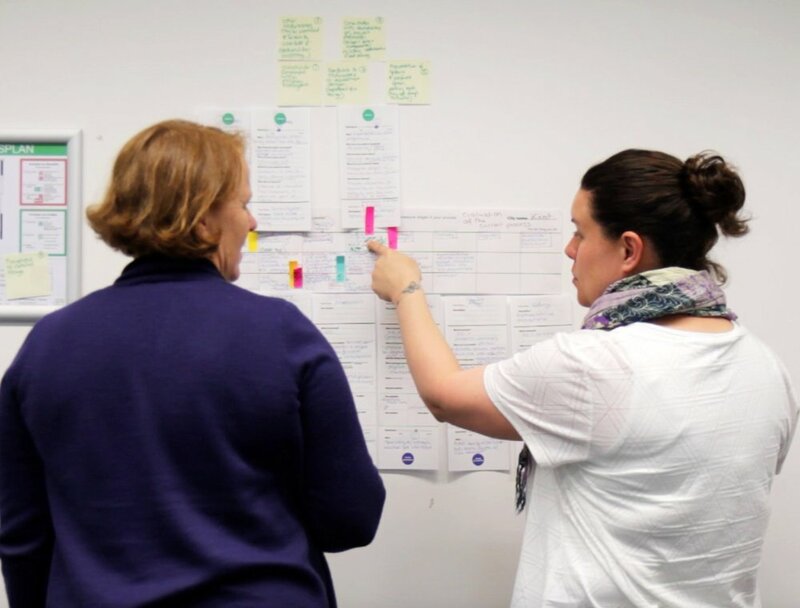 During the second part of Day 1 the group tried a process mapping tool called Blueprinting aimed at visualising an urban planning process and using that as a tool to discuss what needs to change and how we can go about making those changes to the process. Where in your process are the public involved? Where else could they be involved? How could they be involved? In many instances we saw participants suggesting that a variety of necessary public and organisational stakeholders could and should be involved earlier in their process. Specific suggestions included the idea of bringing the technical issue to the public very early on in a manner that did not feel closed and predetermined. It was suggested that demonstrating any significant investment in the detailing of a solution suggests to the public that it has already been decided. Therefore, by not presenting polished renders of a proposition, the public could feel included in the shaping of the end result which would lead to a greater sense of ownership. 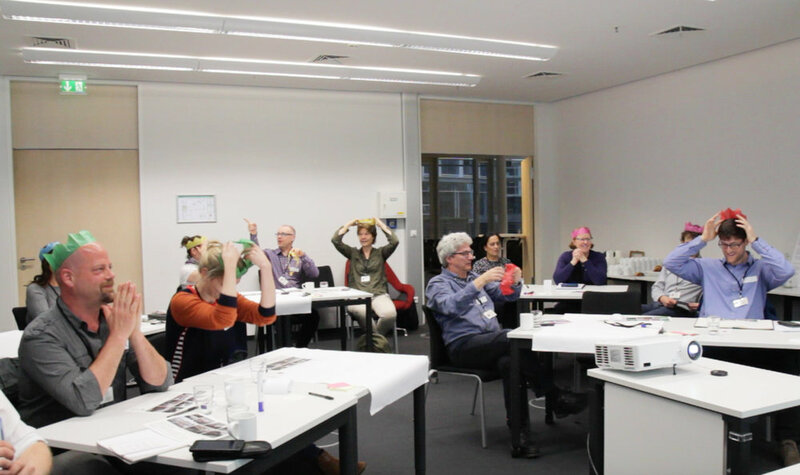 On Day 2 there was a short workshop which used all of the Begin participants to explore the stakeholders associated with a specific infrastructure project in Hamburg. The group had been collectively working on technical solutions for the infrastructure project immediately before this, so this was an opportunity to reflect on how the social elements of planning also impact on a project. Participants discussing the influence of various public stakeholders. The 'Willing and Needed' quadrant - with inclusion of chronological phases for engagement (as developed by the participants in the session). This stakeholder mapping tool very simply visualises all the stakeholders and then allows the Planners to analyse their relationship to the project which in turn enables them to prioritise and strategise their engagement efforts. Stage 1 - The group quickly writes down on Post-Its every specific stakeholder they can think of who may be influenced by the project (e.g. courier cyclist, restaurant goer, shop owner). This was aided by photos taken of the area immediately before. Stage 2 - Participants select stakeholders of interest and apply them to the 'jobs to be done' tool, which then asks them to describe what task each person has to do in relation to the project and its area (e.g. shop owners - need to attract passing foot traffic). Stage 3 - Participants decide if their stakeholder is likely to be for or against the proposition and why. Stage 4 - Participants use a 'Willing and Needed' quadrant, and collectively place all the stakeholders on it, deciding if a stakeholder is needed or not needed for the success of a project and if they are willing or unwilling for it to go ahead. Based on these assumptions the local authority is able to more clearly see who needs to be prioritised in the engagement process in order to bring them on board, and also see which specific arguments are causing most problems. In doing so the local authority can adjust their engagement or infrastructure strategy or simply make preparations more accurately. Once a local authority requires assistance with the ongoing maintenance of infrastructure they are in need of more resources. That means far more of the existing pool of stakeholders are 'needed' for the success of the project than they were previously. Participants found that by adding an additional layer to the 'Willing and Needed' quadrant which detailed the ideal chronological involvement of stakeholders, an urban planner is able to see more clearly when stakeholders need to be introduced to a project. Other modifications to the process were also discussed such as adding a layer that explored whether a stakeholder needs to be considered, consulted or collaborated with. On Day 3 there was a workshop on how to define the messages that an urban planner needs their project to convey through it's branding. This was requested owing to the complexity of needs of stakeholders that any infrastructure project needs to consider and the support that is often essential for success. This tool asks participants to consider 'upstream' stakeholders in their project (e.g. people in organisational structures around and above them), and 'downstream' stakeholders who are in the public sphere. It then asks 'what's in it for them?' for each of those stakeholders making the participant consider what each stakeholder stands to gain from your project. Participants then shape a message specifically for each of those stakeholders that could convey to them exactly why their vision for the project will help them. Finally they create a set of synthesised messages that could convey the correct values and meaning to all those stakeholders at once. This tool challenges planners to prototype in a low fidelity way, how their synthesised messages might appear to their audience. It asks participants to create an artificial 'headline' story for a newspaper whereby they must write a headline, a tagline, define an image, write an ideal quote and the substance of a story. In doing so they trial the coherence of their message because they have created a prototype of how it would be conveyed and they can then adjust their messages accordingly. These final messages and the prototype can form the structure of a branding/communication procurement process or be used by the participants in their own communication endeavours. This process could be helpful to run internally to help the broader team understand the complexity of forging a coherent and compelling narrative. There may be a need for an intermediary step in the 'Creating Messages' tool to help participants forge their synthesised messages.